The Israeli occupation army has warned senior government ministers that the situation in the Gaza Strip is incendiary and could lead to a new round of violence with Hamas. Senior military officials told ministers at Sunday’s briefing for the high-level security cabinet that the Gaza-based Hamas group has no interest in starting another conflict with Israel, but the situation may nonetheless get out of hand, the Israeli TV Channel Two reported on Tuesday. Ministers told the TV station they were informed by the military of a feeling of despair in Gaza due to the persistent humanitarian crisis there, the failure of the reconciliation deal between Hamas and the Palestinian Authority, and the ongoing tensions in recent weeks over Jerusalem after U.S. President Donald Trump recognized the city as the capital of Israel. The occupation army told the ministers the situation is reminiscent of the tensions on the eve of the 2014 Gaza war, according to the TV report. In response to the army’s warnings, Israel’s Prime Minister Benjamin Netanyahu ordered the head of the Israel National Security Council to form a plan of action and present it to the security cabinet within three weeks, the report said. The spokesman of Hamas Movement, Hazem Qasem, said that the Israeli shelling that targeted Gaza at dawn Monday, is a failed attempt to end the ongoing uprising that erupted after the US President Donald Trump recognized Jerusalem as the capital of Israel. Qasem pointed out that the Israeli air strikes aimed at pressuring Hamas Movement due to its continuous support for all of the ongoing events of the Jerusalem Intifada (uprising) across the Palestinian territories. “Our people will not be intimidated by the Israeli repeated airstrikes and crimes. Our people will continue the Intifada until the US recognition of Jerusalem as capital of Israel is annulled and the liberation of Palestine is achieved”, the Hamas spokesman said. 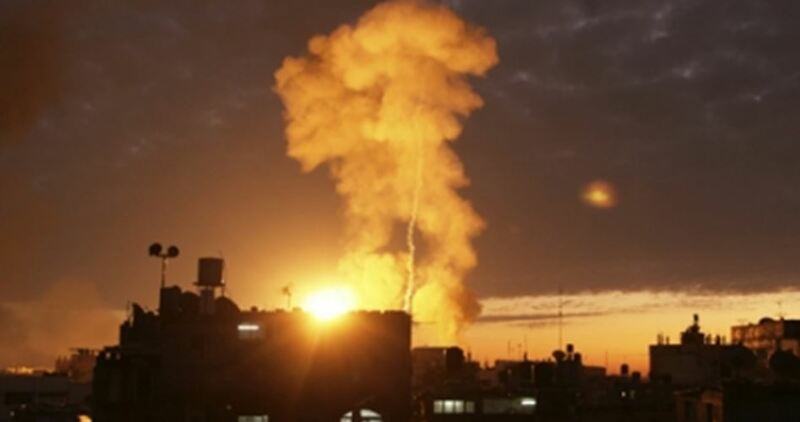 Israeli airstrikes at dawn Monday targeted different areas of northern Gaza, without causing injuries among civilians. Three missiles were fired from Gaza on Sunday evening toward Israeli settlements near the enclave’s borderland, the Israeli army has claimed. 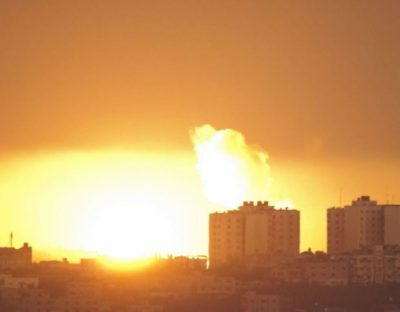 Yedioth Aharonot newspaper quoted the Israeli army spokesman as stating that three missiles unleashed from the blockaded Gaza Strip struck nearby Israeli settlements. One rocket fell inside the Gaza enclave. The second missile rocked an Israeli settlement in Ashkelon Regional Council, inflicting damage on a newly-built house. The third rocket fell in an open area. No injuries were reported in the rocket attack. However a state of panic and tension has overwhelmed the area. Shortly after, the occupation army declared a state of alert and set off code red alert. Two missiles fired from Gaza hit Ashkelon and Sedrot, south of Israel (territories occupied in 1948), on Thursday evening, hours after US President Donald Trump declared recognition of Jerusalem as Israel’s capital. The Israeli army spokesman said two rockets unleashed from Gaza fell into Israeli settler communities near the borderland. According to Hebrew news outlets, no injuries were reported in the rocket attack. 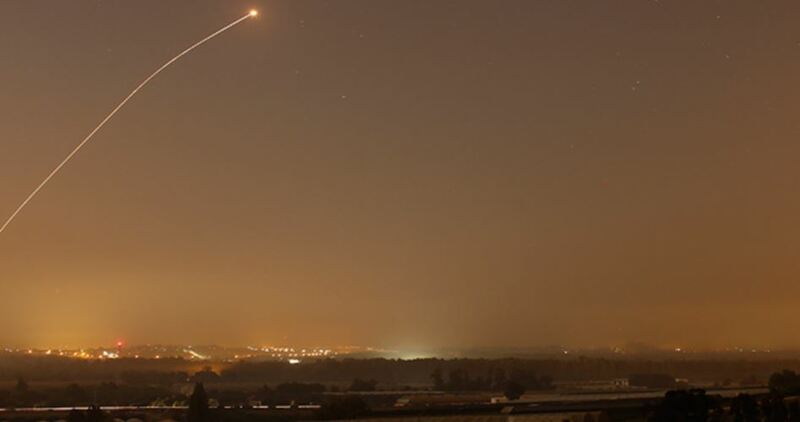 Sources from the Gaza enclave said missiles were fired at nearby Israeli settlements. Tension has hit the climax in the occupied Palestinian territories after Trump declared, in a Wednesday speech from Washington, Jerusalem as Israel’s capital and vowed to move the U.S. embassy to the city, in a move that is believed to fuel conflict and increase violence in the entire region. The Democratic Front for the Liberation of Palestine (DFLP) said that the Palestinian resistance cannot remain silent on Israel’s repeated crimes against the Palestinian people and has a legitimate right to respond to its aggression. 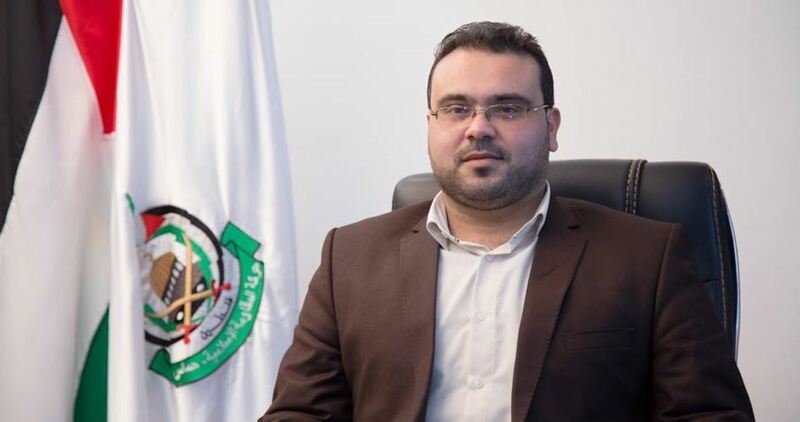 “The Palestinian response to any aggression is a legitimate right guaranteed by international resolutions and such repeated crimes can no longer be tolerated,” senior DFLP official Talal Abu Darifa stated in press remarks to the Palestinian Information Center (PIC) on Thursday. Abu Darifa called on the international community to curb the Israeli occupation and its aggressive practices against the Palestinian people. He also warned that Thursday’s attacks on resistance posts in Gaza would torpedo the truce and escalate the situation, holding the international community responsible for any consequences resulting from its silence on Israel’s continual violation of the ceasefire in Gaza. The DFLP affirmed there are contacts underway between the resistance factions to agree on a proper response to Israel’s persistence in violating the clam in Gaza. Three Palestinian citizens were slightly wounded on Thursday in Israeli artillery and aerial attacks on different resistance sites in Gaza. The Islamic Jihad Movement condemned on Thursday an Israeli onslaught on the blockaded Gaza Strip, saying it rather aims to divert public attention from the horrendous crime committed by Israeli terrorists in Qasra, south of Nablus, earlier in the day. He added that the Palestinian resistance has the right to respond to such a “dangerous escalation” by the Israeli occupation. 48-year-old Mahmoud Oudeh was shot and killed by extremist Israeli settlers on Thursday in Nablus’s southern town of Qasra at around noontime after Israeli terrorists targeted Palestinian farmers with randomly-discharged gunfire. A few hours later, three Palestinians were left injured after the Israeli occupation army struck Palestinian resistance sites in the blockaded Gaza Strip. Three Palestinians were left injured on Thursday evening after the Israeli occupation army struck Palestinian resistance sites in the blockaded Gaza Strip. Palestinian Health Ministry spokesman Ashraf al-Qidra said three Palestinians sustained mild injuries in the offensive. Reporting from Gaza, a PIC news correspondent said Israeli warplanes targeted Palestinian resistance sites in al-Nuseirat refugee camp, in central Gaza Strip, along with two others sites in Gaza city and west of Rafah. Four missiles slammed into the latter. Israeli fighter jets also struck a Hamas resistance site west of Khan Younis with two missiles. 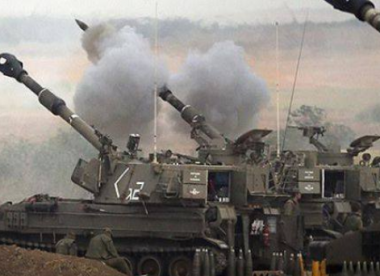 Israeli artilleries further unleashed smoke bombs east of Beit Hanoun, north of Gaza Strip. 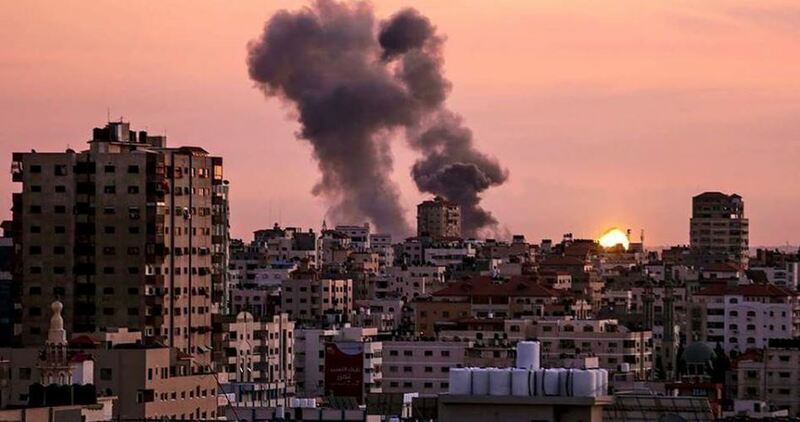 In the afternoon, Israeli artilleries attacked Palestinian lands and resistance sites belonging to al-Qassam and Saraya al-Quds brigades, east of Beit Hanoun, north of the Gaza Strip. The Israeli army spokesman said an artillery deployed on Gaza’s northern borders and fighter jets struck the two sites and Palestinian lands after mortar shells were fired from the enclave at an Israeli patrol stationed on Gaza borders. Israel’s Channel 7 claimed 15 mortar shells were discharged form Gaza toward an Israeli military troop. Train transport between Ashkelon and Sderot has been temporarily halted following directives from the Israeli occupation forces issued shortly after the onslaught. Israeli occupation forces shelled the border of the Gaza Strip on Thursday, under the pretext that Palestinians had fired mortar shells at an Israeli military post. 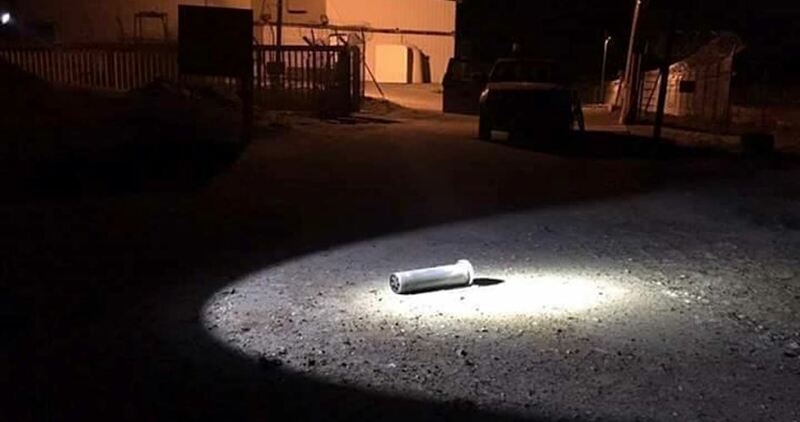 Several mortar shells were reportedly fired at an Israeli military outpost toward the north, causing material damage but no injuries, according to Israeli media. 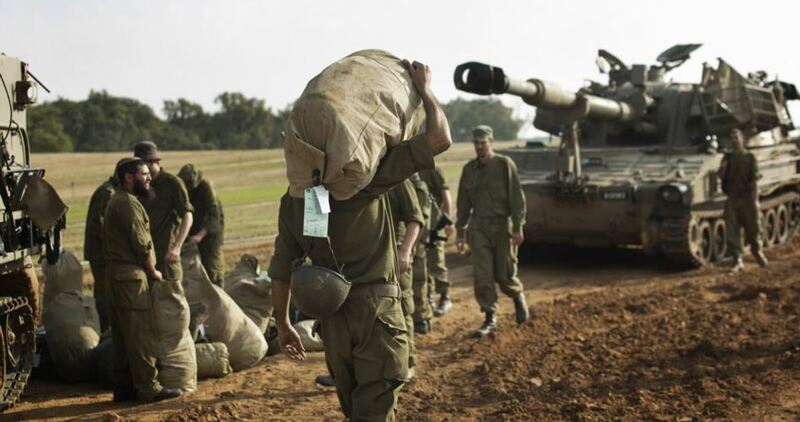 In response, forces struck four Hamas positions, with tanks and aircraft, in Beit Hanoun. Earlier in the day, rocket alarm sirens went off in Israeli settlements near the Gaza border. However, PNN further reports, the Israeli military later said that the sirens were a false alarm. A number of Iron Dome missile defense batteries were deployed in central Israel on Monday by the Israeli army, amid heightened tensions with the Palestinian Islamic Jihad since the army blew up the group’s resistance tunnel last month. The Israeli occupation army confirmed the anti-missile systems had been installed in central Israel. On Sunday Iron Dome batteries were spotted on the outskirts of Occupied Jerusalem allegedly in anticipation of retaliation attacks by the Palestinian resistance. The occupation army claimed that the Iron Dome system, which is designed to shoot down short-range rockets and, in some cases, mortars, was deployed to counter the threats made by the Palestinian Islamic Jihad resistance group, which has vowed to avenge its members killed in the tunnel blast. 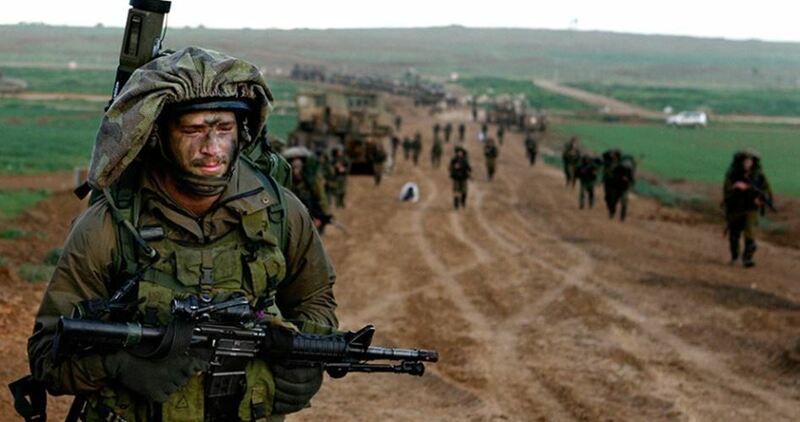 Over recent days, the Israeli army threatened that any response by the Islamic Jihad will be met with a powerful and determined Israeli aggression, not only against the Jihad, but also against Hamas. 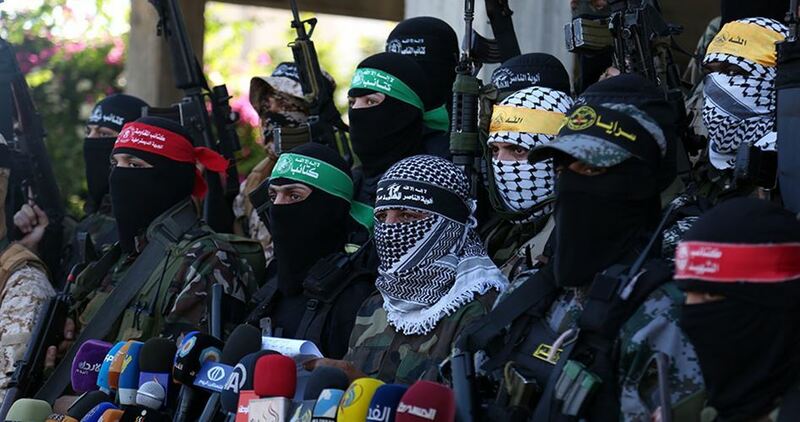 The Palestinian Islamic Jihad responded to the threats, saying the Israeli threats against its leaders constituted “an act of war,” and vowing to continue to try to carry out a revenge attack against Israel. Islamic Jihad said it would not back down on its right to retaliate against Israel for the deadly strike, which took away the lives of 12 members of the group’s militants and of Hamas’s armed wing. An Israeli military analyst dubbed the wrangle “a war of nerves”, saying at a time when the Israeli army has been pressuring the Islamic Jihad to backtrack on retaliation, the latter sees revenge as the most urgent of all steps. 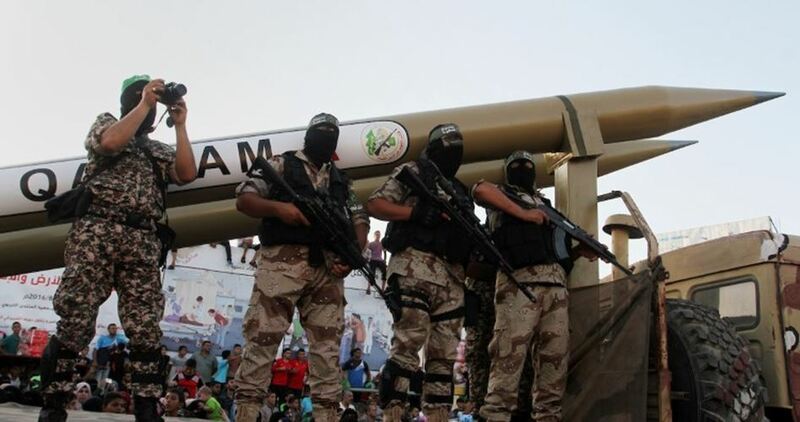 The Hebrew newspaper, Yedioth Ahronoth, said Saturday that one of the Israeli navy’s special tasks is to send a command unit to find and bring experimental rockets fired by al-Qassam Brigades of Hamas into the sea. This commando unit, which is called Shayetet 13, specializes in carrying out several sea, air and land operations at home and abroad, and one of its missions is to find rockets fired from Gaza into the sea. According to the newspaper, al-Qassam Brigades has been testing homemade rockets sporadically since the 2014 war on Gaza. The Israeli army, Sunday night, targeted and destroyed an outpost in the besieged Gaza Strip, said to be used by the Hamas movement as an observation post, according to the Israeli army. 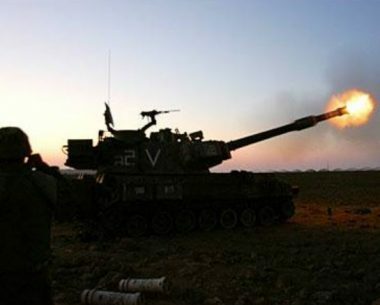 The Israeli army spokesperson said, on Twitter, that a tank targeted the outpost in response to a rocket that was fired from Gaza earlier in the evening, which landed in an open area in the Eshkol Regional Council of southern Israel and caused no injuries or damages. Local sources in Gaza said that the site targeted by the Israeli shelling was located in the Abu Safiya area east of al-Maghazi refugee camp in the central Gaza Strip. Israeli forces also fired flares east of Rafah city in southern Gaza near Israel’s Kerem Shalom crossing, causing a fire to break out, locals added. Several military jeeps were deployed at the crossing. According to Israeli news daily Haaretz, all of the rocket fire from Gaza this year was not orchestrated by Hamas but rather by small organizations that identify with the Salafist-Jihadist movement in the enclave. Sunday’s incident follows a reported detention campaign targeting members of these organizations over the past few days, launched by Hamas after after the last rocket was fired from Gaza into Israel in August, Haaretz reported. Separately, the Israeli army detained two Palestinians when they approached the border fence to the east of Rafah early Monday, according to Israeli media. Israeli news site Ynet said a search on their person found no weapons, and that the two were taken for questioning. Less than a week after senior Hama official Hassan Yousef’s release from Israeli prison, where he had been held for 22 months, he has expressed Hamas’ new interest in engaging in a long-term cease-fire. “Hamas is prepared to make a long-term cease-fire with the Israeli occupation, in return for it allowing the residents of Gaza to live like all other people in the world with everything that they need,” he said to The Jerusalem post, according to PNN. 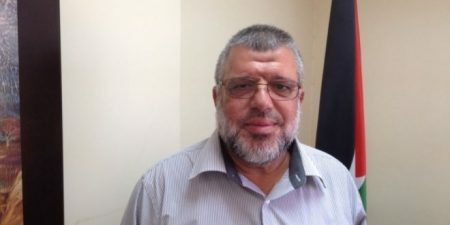 The senior Hamas official, who helped found Hamas, has reportedly hosted local Palestinians at his home close to Ramallah, and spoken with senior Hamas officials in Gaza on the telephone. Yousef assures that there are no need for worrying about Hamas’ commitment to a future cease-fire. Although with new interest in corporation for a more peaceful area, Yousef points out that the cease-fire will only be a reality if Israel stops blockading the Gaza Strip and their supplies, where 1.9 million people are exposed to collective punishment. The Israeli blockade of Gaza has taken place throughout the last 10 years, where the Israeli military controls the import and export in the Gaza Strip, which results in comprehensive damage on their economy. Yousef emphasized this issue by addressing the problem of the Israeli military declining the inhabitants of the Gaza Strip to cross the border: “ I mean the Israeli occupation needs to allow for freedom of movement – going and coming for travelers, students, sick people, expatriates, and all others who desire to move – exports and imports and everything else. It needs to lift its oppressive siege,” he said. 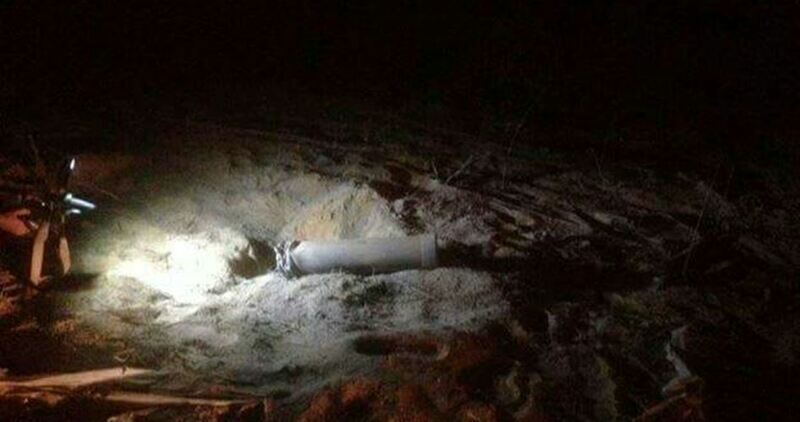 A rocket landed in an open area in Ashkelon city in southern Israel on Tuesday evening, causing no injuries. An Israeli army spokesperson claimed that the rocket had been fired from the besieged Gaza Strip. Red alert sirens were sounded as the rocket fell in the city. Israeli forces were sweeping the area looking for any rocket landed in the area.